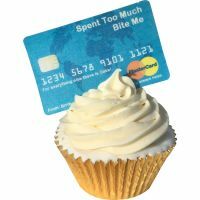 Try out the CDA Edible Wafer Credit Card - issued by PlasterCard - if you get it to work in a cash machine be sure to let us know the pin! 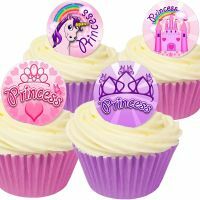 Little girls love to be a princess and this mixed set of princess edible cake toppers alows them to make their dreams come true. 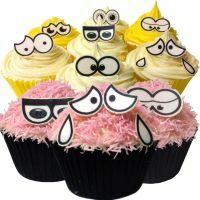 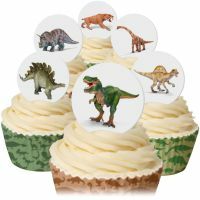 We cant think of a better way to say a Thank You to teacher than baking cup cakes decorated with these wonderful edible T-Shirt decorations.